5. All donors are not equal. It is inefficient and costly to attempt to deliver first-class, red-velvet-rope, VIP treatment to every donor. That’s why you should appropriate your budget properly. Leverage technology to provide stewardship to all of your donors but focus your time, money, and effort most profoundly on the people who are most likely to make the most impact. 6. Major donors, legacy supporters and prospects expect (and deserve) first-class treatment. Everyone expects to be treated fairly. But your most valuable supporters expect and deserve even more. Giving them that first-class seat along with a red-velvet-rope experience that makes them feel like a VIP is essential nowadays. After all, these are major gifts! And besides, if you won’t do it, another highly competitive organization probably will! 7. Donors deserve to decide whether or not they want to be in a portfolio (on a caseload). Just because a donor was put in your portfolio doesn’t mean they want to be there. Donors should be asked to opt-in for a deeper relationship. They should have a choice in the matter. They should be invited to gain value from a deeper relationship with an organization, its mission, and its staff. If your value proposition is clear and found to be acceptable to the donor, they will opt-in. Then, you’ll become more focused only on those super-highly qualified supporters and that will lead to deeper engagements and more revenues at low costs. 8. Portfolios will churn. Although some supporters might have opted-in to a deeper relationship with you, it is inevitable that some will want to opt-out completely or will pull away temporarily. For this reason, nonprofits must embrace a system that refreshes portfolios thanks to a constant stream of fresh opportunities, thereby reducing ‘hoarding’ by gift officers. 9. Fundraisers desperately need support. 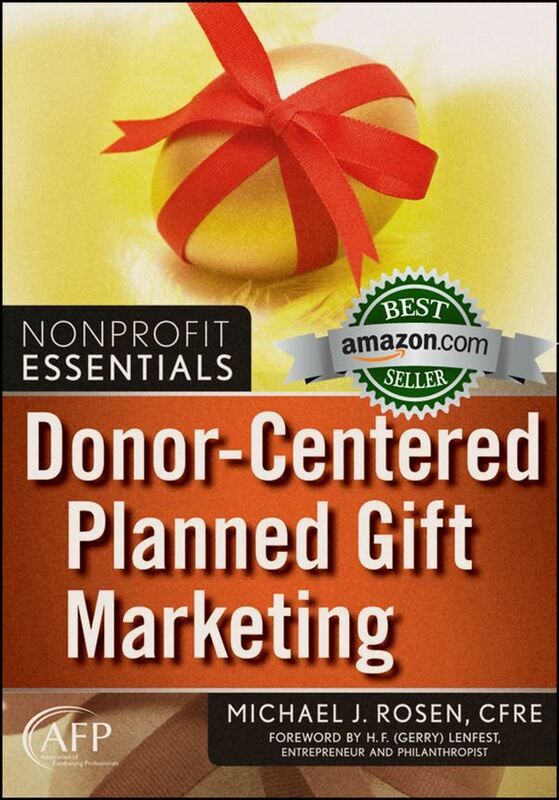 Too many organizations force fundraisers to do too many things when, instead, they should support them with a two-pronged major and legacy gift fundraising approach that includes (1) Marketing ‘air support’ for major and legacy gift fundraisers – one-to-many digital or traditional communications support that may or may not be automated; and (2) ‘Boots on the ground’ marketing support for major and legacy gift fundraisers – one-to-one communications support that seemingly come from staff (usually gift officers or organizational leaders) or volunteers (such as board members) that may or may not be automated. I thank Greg for sharing his insights with us. I also thank him for giving me the opportunity to read an early version of Engagement Fundraising. To deepen your understanding of the truths Greg has outlined and to learn how to put that knowledge to use, I encourage you to read his book. Charities need to do a much better job of engaging donors on the donors’ terms. When nonprofits do, donor retention rates will go up, average gifts will increase, more major donors will be identified, and more legacy gifts will be secured. If you’ve read Engagement Fundraising, let me know what you thought of it. Whether you’ve already read the book or not, I’d be interested in learning what engagement tactics you’ve found particularly effective. I look forward to your comment below. That’s what Greg Warner and Michael Rosen say… What do you say? I would add that the donor population is becoming more diverse while fundraisers are not yet similarly diverse. As of 2050 the U.S. will be majority minority, CA is already there. Sophie, thank you for making a good point about the changing demographics in America. Diversity will continue to grow in importance as the population continues to change. Interestingly, while I am still looking, I have yet to find any research that examines the effect of a diverse development staff on fundraising results. Diversity seems like a good idea, but the nonprofit sector appears to lack concrete evidence, beyond the anecdotal, that diversity is valuable. Perhaps if we had such research, nonprofit organizations would place greater importance on building a diverse workforces. Sophie, thanks again for your insight. You’re right. The new tax law presents some fresh challenges as well as opportunities. 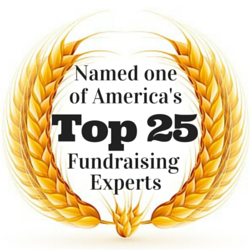 Fundraising professionals need to be prepared for both. I address this a bit in my recent article in Advancing Philanthropy, the magazine of the Association of Fundraising Professionals.